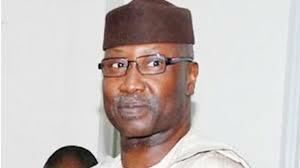 New Secretary to the Government of the Federation Boss Mustapha struck at the core of the titular conceit of Nigerian politicians when he said last Thursday that he didn’t want to be burdened with silly honorific prefixes like “Your Excellency,” “Honorable,” etc., which he said were unconstitutional and unnecessary. Former Jigawa State governor Sule Lamido also famously rejected Nigeria’s exhibitionistic titular conventions for governors when he told journalists that he didn’t want to be addressed as “Your Excellency” or described as an “Executive Governor.” He said he wanted to be addressed simply as “Governor Sule Lamido.” I don’t know if this panned out during his governorship, but it’s refreshing that there are what one might call oases of sanity and titular modesty in Nigeria’s desert of inflated, title-crazed, oversized egos. While it’s entirely defensible to contort, relexicalize, and resemanticize the English language—or any language, for that matter—to express the unique socio-cultural thoughts and values of a people, Mustapha and Lamido are right to call attention to the abuse of titles in Nigeria. Today’s column lends a linguistic perspective to Mustapha’s and Lamido’s unease with superfluous, flamboyant, often misused and worthless, English titles. “Executive (fill in the blank)”: Presidents, governors, and local government chairmen/chairwomen in Nigeria are invariably “executive.” This is superfluous and needlessly egotistic. “Executive” is prefixed to the name of a position only when it is necessary to differentiate it from a “ceremonial” position. For instance, during Nigeria’s First Republic, there was a “ceremonial president” in the person of Nnamdi Azikiwe who had no substantive powers. Substantive powers resided with the Prime Minister. So when Nigeria adopted the American presidential system in the Second Republic, it became necessary to prefix “executive” to the name of the president to show that, unlike in the First Republic when the president had no executive powers and when the Prime Minister who was head of government was a member of the legislature, the newly elected president had executive powers. In America, whose presidential system we have adopted, the president is never referred to as an “executive president” because it goes without saying that he is the head of the executive branch of government. Vice presidents, deputy governors, or local government vice chairmen/chairwomen can’t logically prefix “executive” to their names because they don’t even have constitutional powers to take executive decisions unless their superiors delegate such responsibilities to them. This also applies, to some extent, to such titles as “executive director,” “executive editor,” etc. The term “executive” is justified only if a company has subordinate directors who are not CEOs or if a newspaper has an honorary editor who exercises no real editorial decision-making powers. In American English “Executive Editor” and “Editor-in-Chief” are synonymous. “Distinguished Senator”: I have heard people say this title is unique to Nigerian English. That’s not exactly true. American senators routinely refer to their colleagues as “distinguished senator” out of conversational courtesy—just like British lawyers call each other “learned friend” or “learned colleague.” “Distinguished” here denotes “illustrious,” “respectable,” or “gentlemanly.” I am certain that the Nigerian use of “distinguished senator” owes lexical debt to America since, in any case, our democracy is modelled after theirs. However, only Nigerian senators capitalize the first letters in the expression, make it an honorific, and prefix it to their names, such as “Distinguished Senator (First name) (Last name).” In fact, “distinguished” has become a standalone title, as if the word were a noun. This would strike Americans as quaint and comical. “Honorable”: Different countries have different conventions for this honorific. In Britain, from where we copied it, “honorable,” often rendered as “the Hon.,” is used with the first name for the children of viscounts, barons, and life peers and peeresses, and for the younger sons of earls. E.g. The Hon. William Adams. So in Nigeria we have an American-style Speaker with a British-style title, perhaps because “Right Honorable” sounds grand and intimidating. Technically, you can’t have a “Right Honorable” without a Privy Council, which we can’t have in Nigeria because we operate an American-style presidential system of government, not a British-style parliamentary system of government. To address someone who isn’t a member of any Privy Council a “Right Honorable” is honorific inflation.